I have probably seen worse superhero movies than The Amazing Spider-Man 2, but no film in this genre has ever made me so actively uncomfortable, irritated, and angry. It’s not even that the film fundamentally misunderstands its characters and what makes them interesting, the usual bane of the bad superhero film. That’s part of the problem, certainly, but The Amazing Spider Man 2’s issues run far deeper, displaying a startling, omnipresent lack of baseline narrative or cinematic competency in nearly every conceivable area. The writing, the acting, the cinematography, the music, the editing, the tone...all of it is mediocre and unassuming at absolute best, horrifically tin-eared, miscalculated, and excruciating at worst. It is the rare film where everything, at all levels, has gone completely and utterly wrong, where there is virtually nothing to cling to or defend. Not one single beat in the entire movie rings true, and not a solitary emotion, from start to finish, feels earned. Character motivations range from grossly underdeveloped to wholly nonsensical, and not only is no narrative element interesting in isolation, but the bevy of wildly undercooked subplots fail to work together in any substantive way, leaving the filmmakers to try creating cumulative impact at the end in the most exploitative way possible. Even the decently staged action set pieces fail to provide the requisite visceral pleasure, so limp and inconsequential is everything surrounding them. The Amazing Spider-Man 2 is, in short, a maddening cinematic void, and trust me, nothing makes me more unhappy as a film critic than having to write off a Spider-Man movie top to bottom. I love Spider-Man as a character, am inspired by and deeply value him as one of the richest creations in the American pop-culture landscape, and I can say with complete confidence that were it not for Spider-Man and the first two Sam Raimi films, I would not be here today, writing these words. Ten summers ago, Spider-Man 2 was my first assignment as my paper’s film critic, and it was the movie that convinced me I was in the right place, that this medium was worth following and writing about and celebrating. I have even enjoyed Spider-Man on film when others have written him off. Spider-Man 3 is problematic and mediocre, but well produced and acted, and the first Amazing Spider-Man was, to me, an imperfect but extremely promising start to a new era for the character. Suffice it to say, The Amazing Spider-Man 2 has already brought that era crashing down in flames, and since so much of the film is preoccupied with setting up future installments, the franchise’s earth is likely salted for years and years to come. This is where I would normally talk a little bit about the film’s story, but with The Amazing Spider-Man 2, there is no cohesive narrative to discuss. The film is constructed entirely out of subplots, and they all inform and build off one another in only the most cursory of ways. 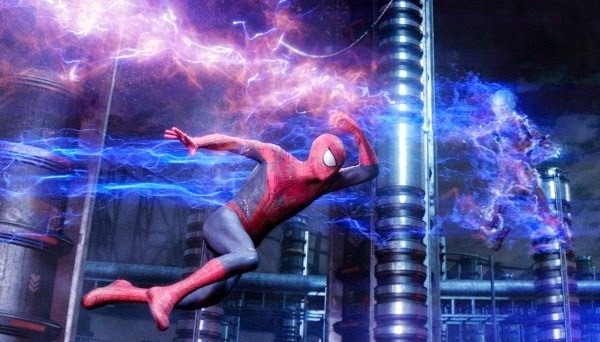 The film just spins its wheels for a solid two hours, introducing new characters and story concepts at a rapid rate – Max Dillion (Jaime Foxx) turning into Electro, a dying Harry Osborne (Dane DeHaan) thinking he needs Spider-Man’s blood to stay alive, Peter (still) searching for his parents’ secrets, Peter trying to stay away from Gwen after making a promise to her father in the first film, etc. – but never as a means to tell one concentrated, thoughtful narrative. By the time the climax rolls around, it feels like an awful lot of time has passed without anything important happening, like the movie is just killing time until better ideas can be conjured for the next sequel. This is franchise filmmaking at its worst, a placeholder entry designed not to further explore its characters or offer fans something rich and substantive, but to keep the cogs turning and the cash pouring in. At this point, Alex Kurtzman and Roberto Orci are a creative poison – I am quite frankly terrified of the idea that Paramount might be handing Orci the keys to Star Trek, a franchise he absolutely does not understand – and this is easily the worst script they have written so far, not just on a narrative level, but as a basic exercise in using the English language. The dialogue is appalling, awkwardly and stupidly constructed to such extreme degrees that I continually had painful flashbacks to Schumacher-era Batman movies, especially whenever the script has its villains shout out their motivations in the most simplistic, banal sentences possible. There is plenty of on-the-nose writing to go around, though, and Emma Stone’s Gwen Stacey is, unfortunately, the primary victim. Saying Gwen dies barely feels like a spoiler to me, given that her first scene in the movie has her delivering a speech about how life is short and unpredictable, and that pretty much every conversation thereafter cues us into the impending ‘tragedy.’ This is just awful, amateurish writing start to finish, and it is especially disappointing after the first Amazing Spider-Man captured the cadence and rhythm of teenage conversation in such natural, relaxed fashion. The cast is hamstrung by the script at every step, but Stone and Andrew Garfield suffer the worst, with the wandering, cringe-worthy exchanges they have been given to play smothering their once considerable chemistry at every step. Narratively, their relationship just spins in increasingly repetitive circles – Gwen wants Peter in her life, but Peter is worried about breaking his promise to her father, so Gwen gets mad and leaves, so Peter pines, so Gwen comes back, so Peter feels guilty, and so on – and within those confines, the characters become narrower and narrower until there is nothing left. Their story really isn’t a far cry from what Peter and Mary Jane went through in the original Raimi films, but those movies illustrated both characters and their internal conflicts to such immensely more nuanced, thoughtful degrees. Here, it’s all just surface. Peter is sad because he has to be responsible (but isn’t), Gwen is annoyed her dream guy cares enough about her to worry his actions could put her in danger, and that’s pretty much it. Both actors are stranded without real characters to play, Garfield forced to alternate rapidly between sarcastic quipping and overt angst, Stone only allowed to be wide-eyed and glowing. I like both of these performers immensely, and hope to see and enjoy them in many other contexts in the future, but there is nothing they – or anyone else – could do with this material. It’s a losing battle from the start, and it is frankly astounding how quickly all the pent-up goodwill their characters had from the first film evaporates here. As the incoming villains, Jaime Foxx and Dane DaHaan have no such goodwill, and I feel bad for each. I can tell Foxx and DeHaan are trying, are really attempting to infuse some kind of energy into the proceedings, but their efforts are in vain – these are some of the worst villains ever featured in a superhero film. As much as the marketing has focused on him, Electro is a bland, barely utilized antagonist. Foxx actually manages some real heart and vitality early on – almost enough to overcome the fact that Max Dillon is written to be as creepy as humanly possible (obsessed with Spider-Man, his character is a much less interesting and developed version of Jim Carrey’s Riddler in Batman Forever, a sentence I should never have to write) – but once the transformation takes place, Foxx is subsumed by a series of flashy but insubstantial visual effects, and is unable to do anything as an actor. I still like the idea of Jaime Foxx as a comic-book villain an awful lot – this just isn’t the context for him to flourish, and it’s a real shame. DeHaan has it the worst, though, as the film throws Harry Osborne into the mix like he’s always been there – apparently he was Peter’s best friend, despite Peter never mentioning his existence in multiple trips to Oscorp in the first film – and expects sympathy where there is none (it also expects Garfield and DeHaan to have chemistry when they most certainly do not). Wanting Spider-Man’s blood is his sole motivation in the entire movie – Harry is dying, and thinks Spidey’s regenerative powers could save him – and the part is so underwritten that DeHaan overcompensates wildly, overacting with sleazy, sneering ferocity, the entire performance dialed up to 11 no matter the scene. It’s a terrible, actively obnoxious piece of acting, but again, blaming DeHaan feels counterproductive. 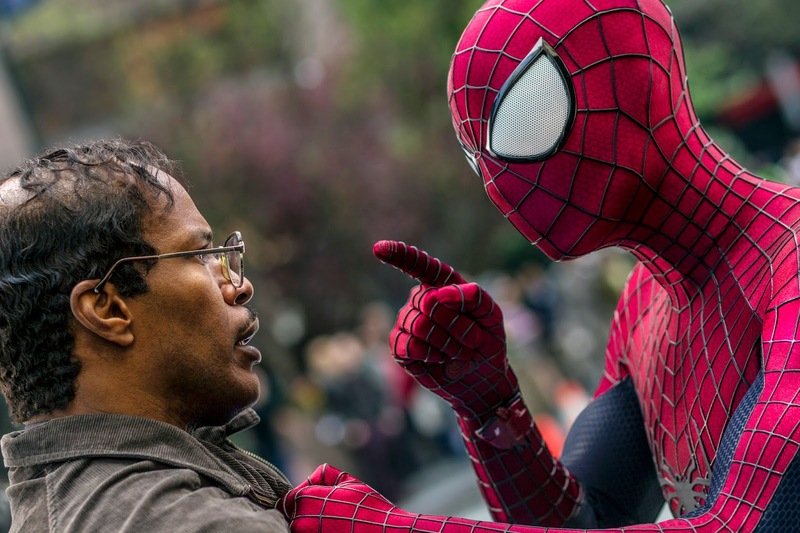 I know he is fully capable of playing a compelling, nuanced antagonist – see Chronicle for evidence – but The Amazing Spider-Man 2 squashes all talent out of him, especially once he becomes the Green Goblin for one horribly executed sequence at the end. It’s similar to what Spider-Man 3 did with Venom, only several magnitudes worse, especially for what the Goblin’s scene represents to the movie at large. For the Green Goblin does, indeed, succeed at killing Gwen Stacy, and this is the point where the film moved from insufferable to offensive for me. Up to then, the entire climax is utterly hollow, an inevitability given how soulless and inconsequential the first two hours are, and Gwen’s death exists solely to create the illusion of impact. The film has spun its wheels, and kept its characters in limbo, and refused to meaningfully advance a single arc, and this repugnantly unearned moment is nothing more than an attempt to force a film’s worth of character development into the last fifteen minutes. Never mind that Peter and Gwen have done nothing of note for the entire film – so long as Gwen is killed, and Peter becomes sad, it will feel like Peter went on a meaningful, tragic journey, right? Wrong. Call me crazy, but depicting the (surprisingly graphic and brutal) death of a young woman for the sole purpose of creating artificial substance in a movie that has none is the textbook definition of exploitative, and it pisses me off. Death is not something I require summer blockbusters to take seriously all of the time, but when it involves a main character, and that character is young and has a family whose grieving process we are going to sidestep entirely, and the death is perpetrated only to give the finale false weight, that is crossing a line I am deeply uncomfortable with. And once it’s done, the film then proceeds to pole vault over the line with a denouement between Peter, Aunt May, and a recording of Gwen’s speech from the beginning of the film that essentially preaches compartmentalizing and forgetting about people – casting them aside and out of our thoughts, rather than internalizing what they meant to us and dealing with what we feel – as the proper path to overcoming grief. Only the movie calls it ‘hope,’ and casts that word around over and over again as if it somehow means something in isolation, as if forcing ourselves to “feel hope” – whatever the hell that means – is the answer to life, and as if any of this was in any way organically established as a theme of the film over the course of the narrative. When Marvel Comics killed Gwen Stacy back in the seventies, it meant something, because the Green Goblin was an established foe, and Peter and Gwen had been thoroughly explored as a romantic unit since the inception of the series, and the fallout lasted longer than ten oppressively pandering minutes at the end of an awful movie. Here, it means nothing except that The Amazing Spider-Man 2 has the utmost contempt for its viewers, and that angers me indeed. I don’t know what to make of Marc Webb as a director after this movie. I am inclined to absolve him of blame and assume the film, as an obvious corporate entity, was qualitatively out of his hands, but then I think about how uniformly awkward or downright bad all of the performances are here, and how all the action sequences operate in uncomfortable fits and starts, and how tonally schizophrenic the whole thing is, and how much wasted space there is in every frame, and how every other sequence is edited like a bad music video, and how James Horner’s beautiful and distinctive score from the first film was replaced here with bland, dreadful music by Hans Zimmer (and friends), and I have to question the decision-making ability of the man in charge. 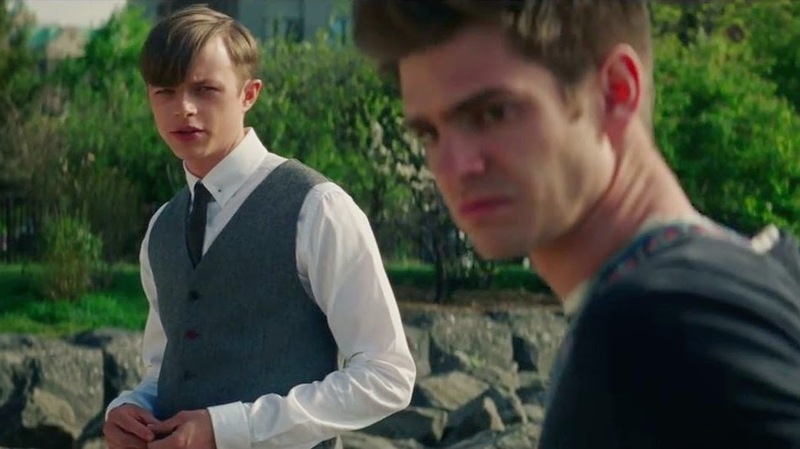 I love (500) Days of Summer, and I really enjoy the first Amazing Spider-Man, but this is one of those movies so bad that it casts a heavy shroud of doubt on the person who made it, and while Webb is signed on for The Amazing Spider-Man 3, I think it would be best for his career (if not his bank account) if he bowed out now, because this series has officially become toxic, and I would start running right now if my name were in the first line of the credits. Rare is the franchise film so dreadful that it kills all potential investment I may have had in it going forward. But after The Amazing Spider-Man 2, I am personally content to never watch another new Spider-Man movie – at least while Sony is still in charge of the series and still forcing creative bankruptcy on the artists they have hired to make the movies – and I’m guessing fans are in for several rough years ahead, with more sequels and spin-offs coming down the pipeline. I love Spider-Man. I love the superhero genre. The Amazing Spider-Man 2 marks a new, embarrassing low-point for both, a film aimed not at its fans but only at their wallets, and it actively saddens me to see this property spoiled so thoroughly. In the words of Roger Ebert, “I hate hate HATED this movie,” and I implore you to ignore it altogether. While I 100% agree with your review, the general populace's love of Spidey will artificially inflate the box office and encourage the creators to make more of the same in the future. Yup. I agree. It's poisoned me against this series for the foreseeable future. If this awful movie does well, they will keep repeating it, and that's just sad.